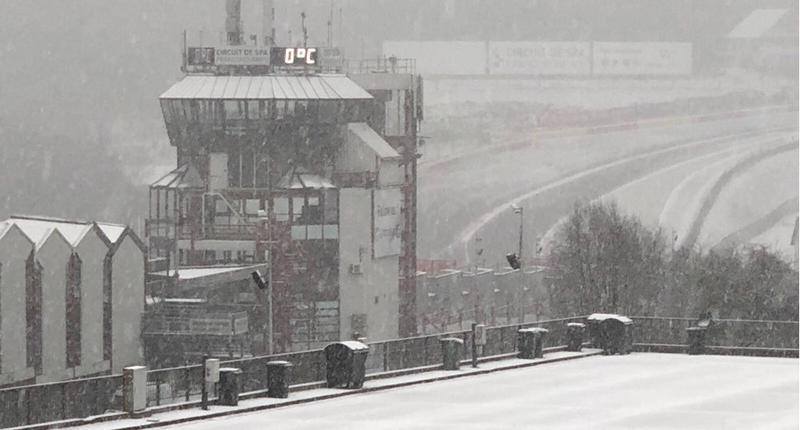 An early start for the F3 desk here at Overtake was to no avail as snow brought day two and with that testing at Spa Francorchamps to an early finish without a single car taking to the track. Snow Rouge was the witty headline as bucket loads fell all through the night and into the day, which meant that Double R’s Linus Lundqvist’s time from yesterday couldn’t be beaten. Lundqvist was top of the time sheet followed closely by French driver Tristan Charpentier of Fortec and Lanan Racing’s Kush Maini third. The F3 circus moves to Oulton Park for two days of testing from March 29th. This is before qualifying and race one on Saturday 31st. 2018 sees a big format change and the lack of any track time today will surely be a concern for teams and drivers alike. Chilton and Kimball confirmed at Carlin – why? Hamilton takes Australian GP pole.